Pope Francis signed decrees giving a go-ahead for the honours on the basis of miracles attributed to each candidate, the Holy See said in a statement. Vatican City: Pope Paul VI, who oversaw sweeping reforms of the Catholic Church in the 1960s, will be made a saint along with a Salvadoran archbishop who was shot dead while celebrating mass, the Vatican said on Wednesday. Pope Francis signed decrees giving the go-ahead for the honours on the basis of miracles attributed to each candidate, the Holy See said in a statement. 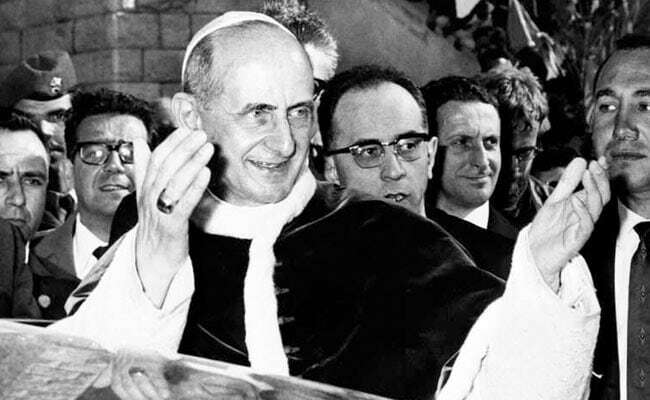 Paul VI completed the reforms of the Second Vatican Council, or "Vatican II", which revolutionised the relationship between Catholic believers and priests and opened the Church to dialogue with other religions. Paul VI is credited with being one of Pope Francis' role models, a humble man to whom the Argentine pope frequently refers in his speeches. At the beatification mass, Francis had hailed him as a "brave Christian". His papacy was marked by growing secularisation and social liberation, and while the polarised politics of the Cold War did little to ease his task he was also hampered by a reputation for being overly cautious. Romero, murdered in 1980, was beatified in San Salvador, the capital of El Salvador in Central America, in front of 200,000 worshippers. Then US president Barack Obama welcomed the beatification, calling Romero "a wise pastor and a courageous man who persevered in the face of opposition from extremes on both sides". truth commission later concluded it was carried out by a right-wing death squad under the orders of a former army officer who died the year the war ended. The movement to make Romero a saint was long resisted by conservative Catholics and the Salvadoran right, who saw veiled Marxism in his sermons eulogising the poor and radio broadcasts condemning government repression.